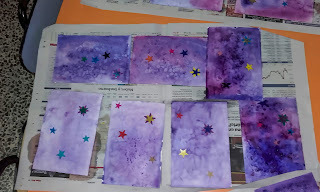 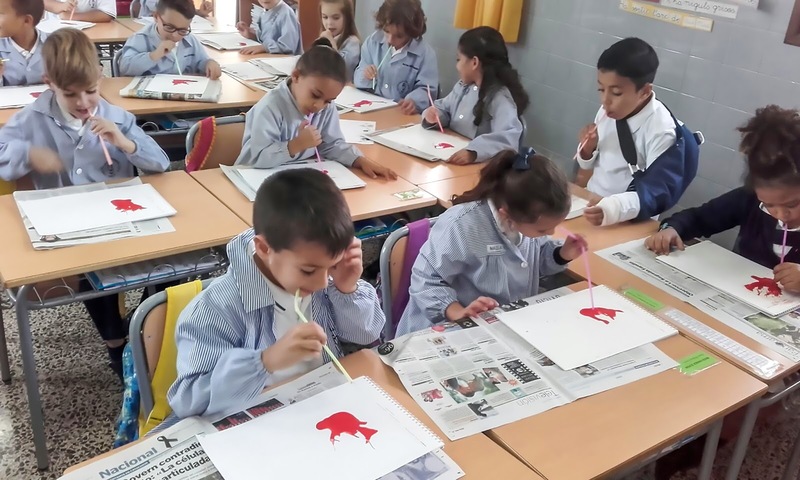 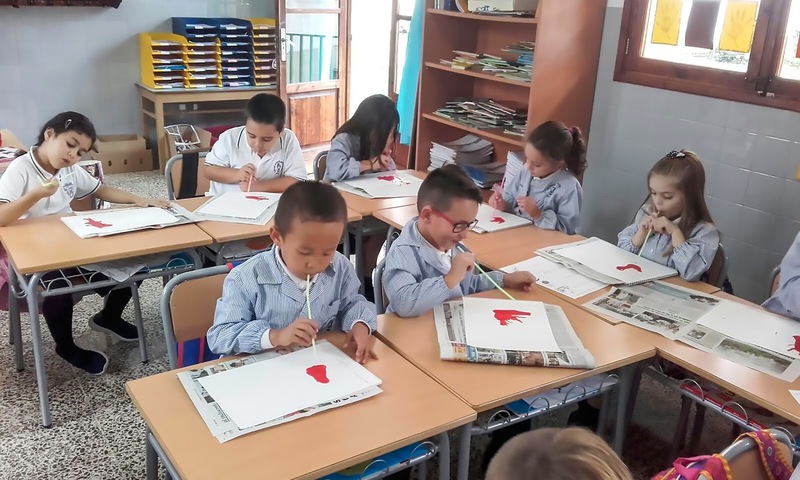 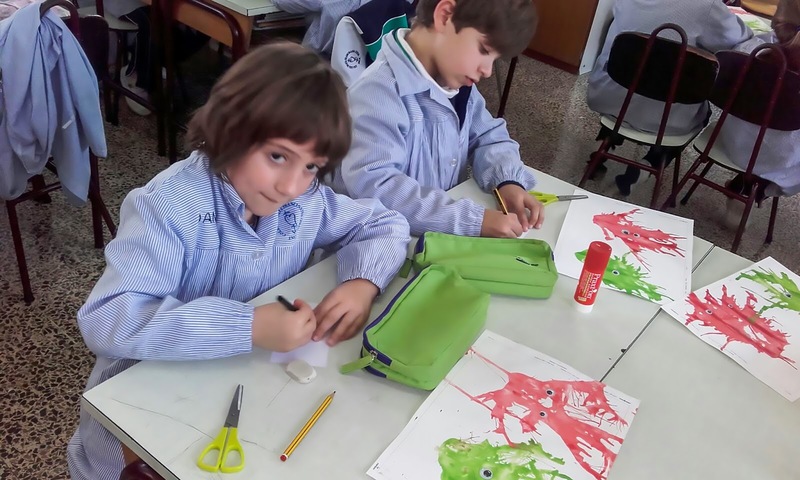 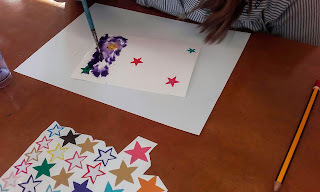 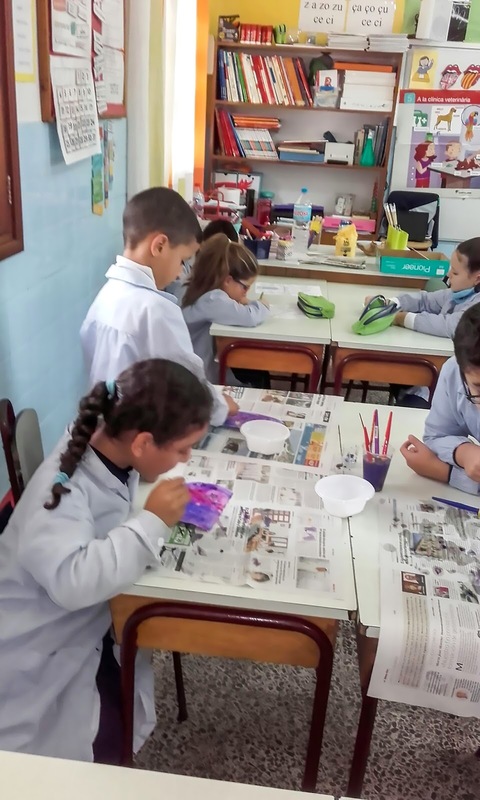 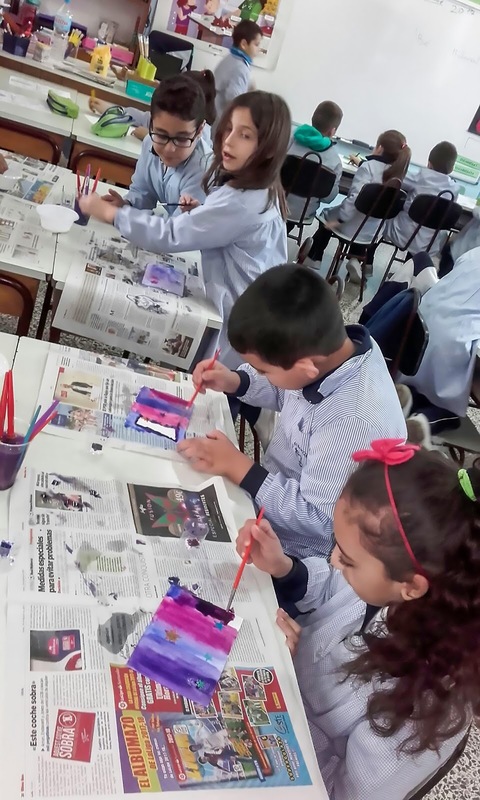 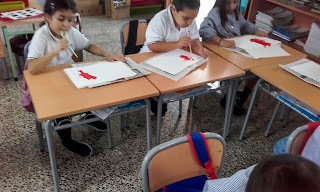 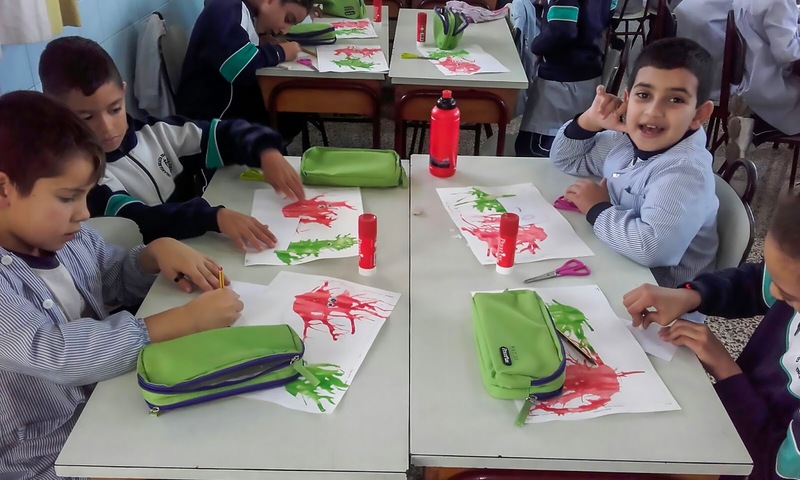 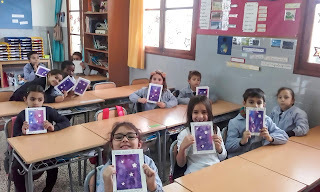 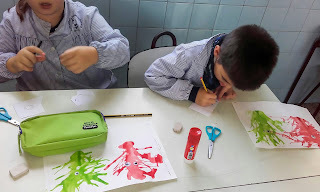 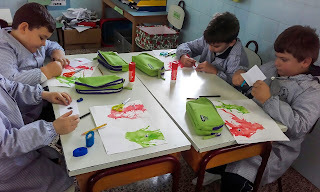 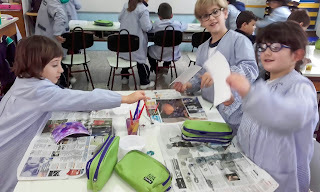 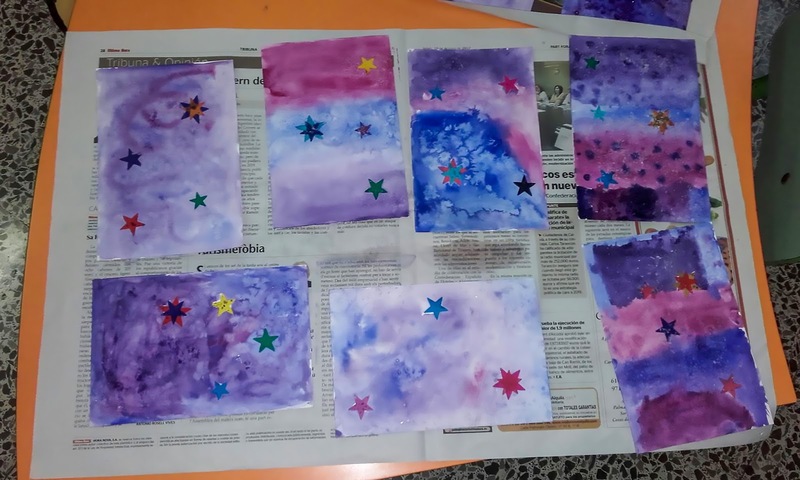 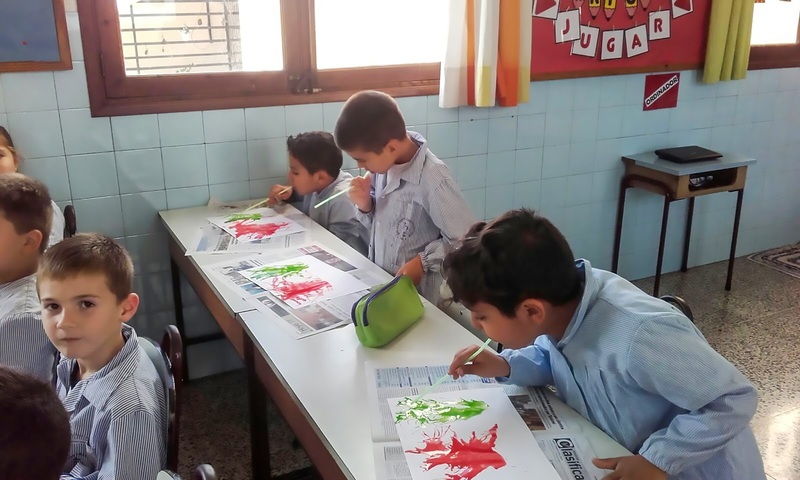 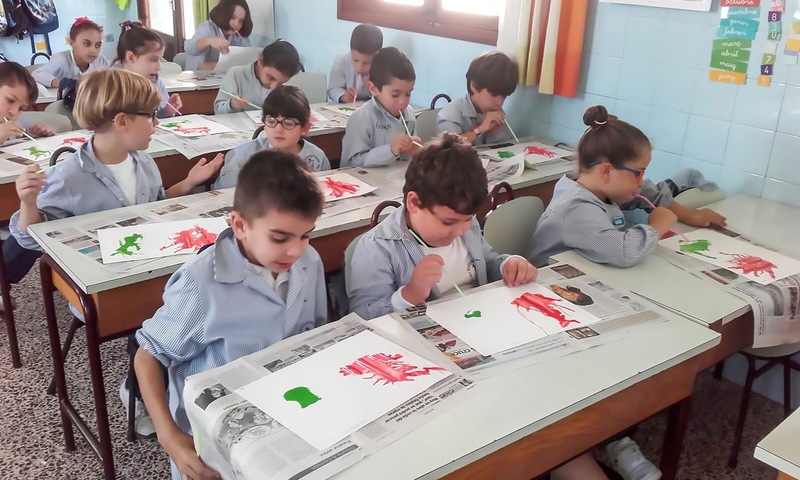 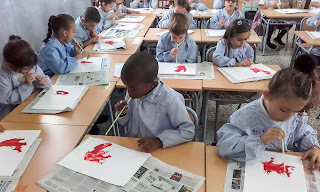 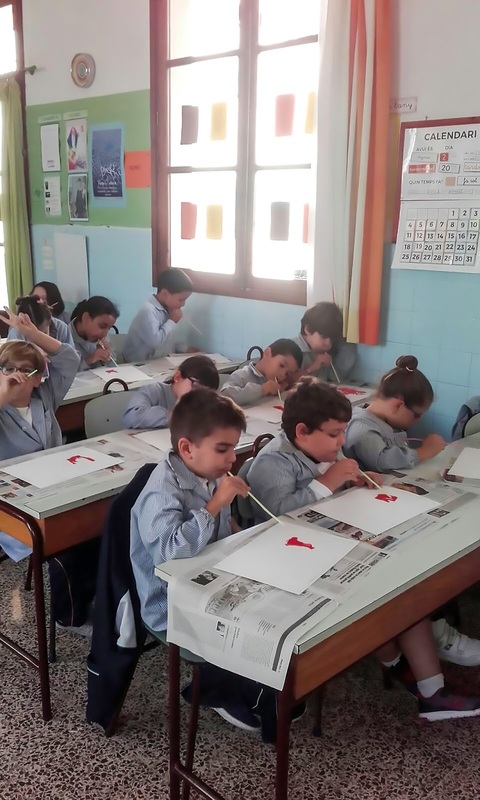 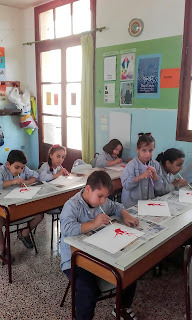 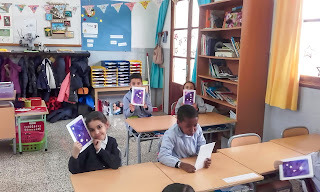 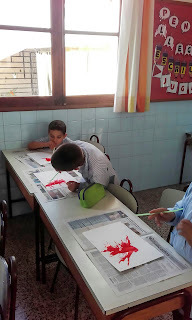 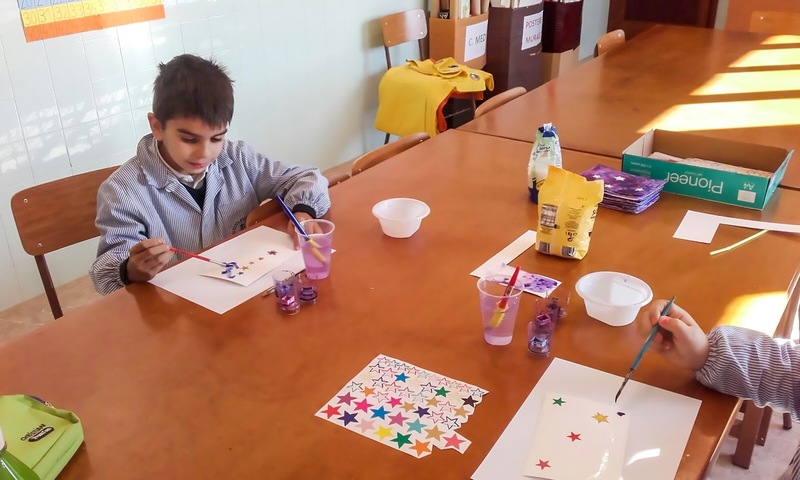 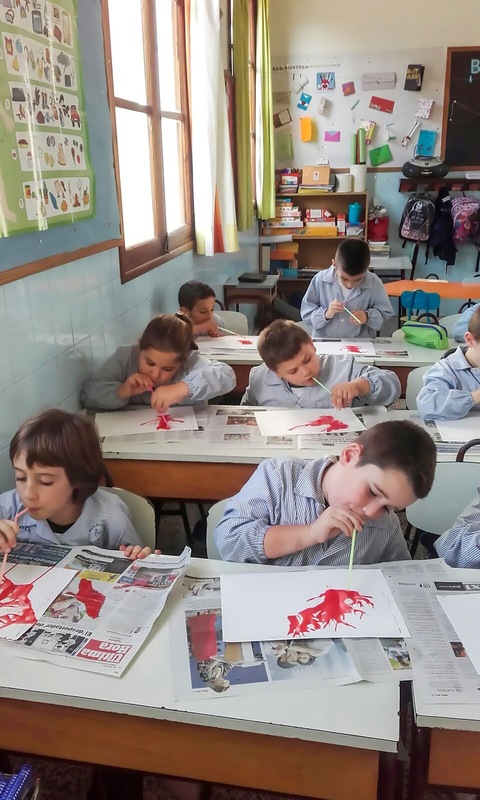 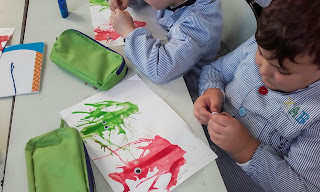 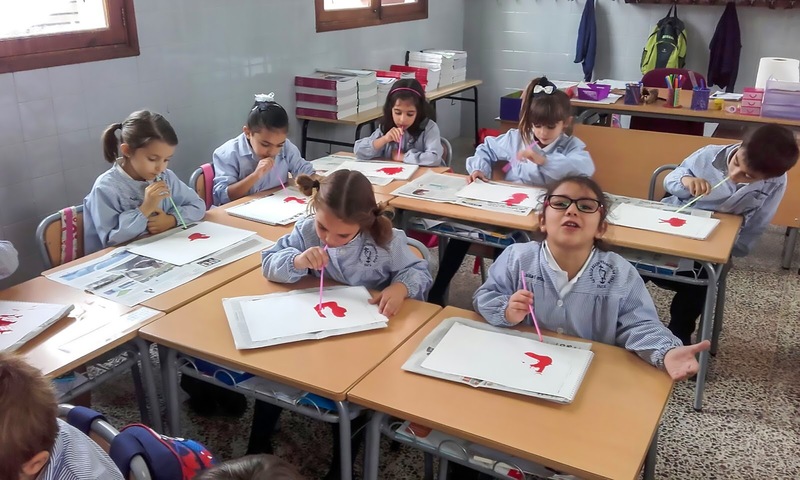 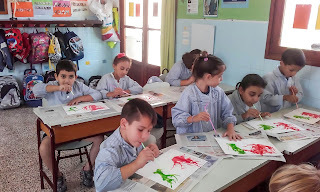 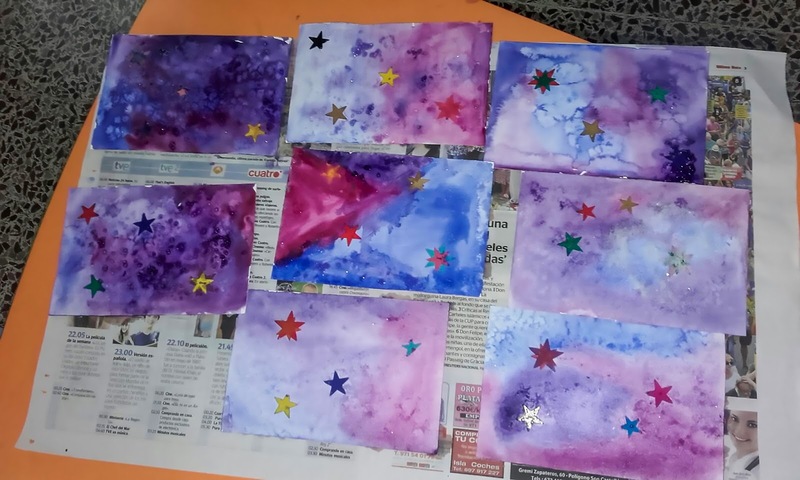 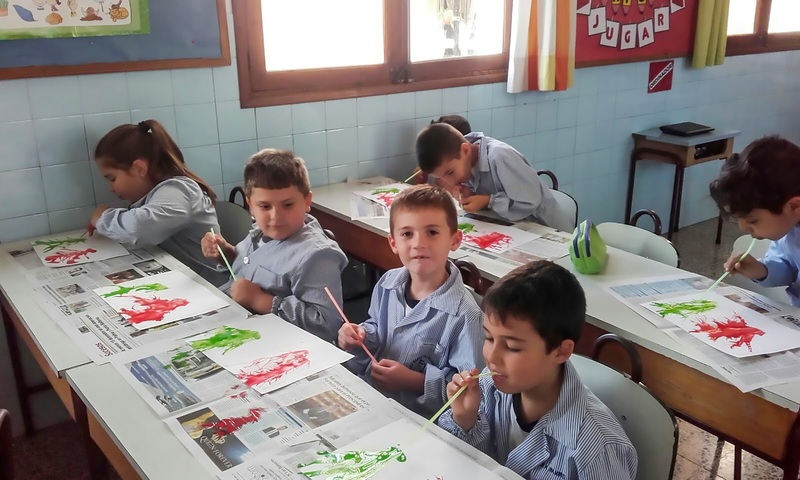 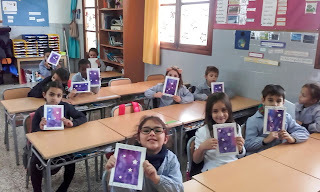 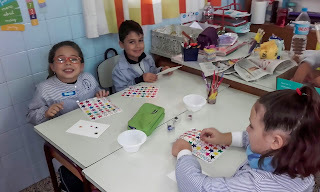 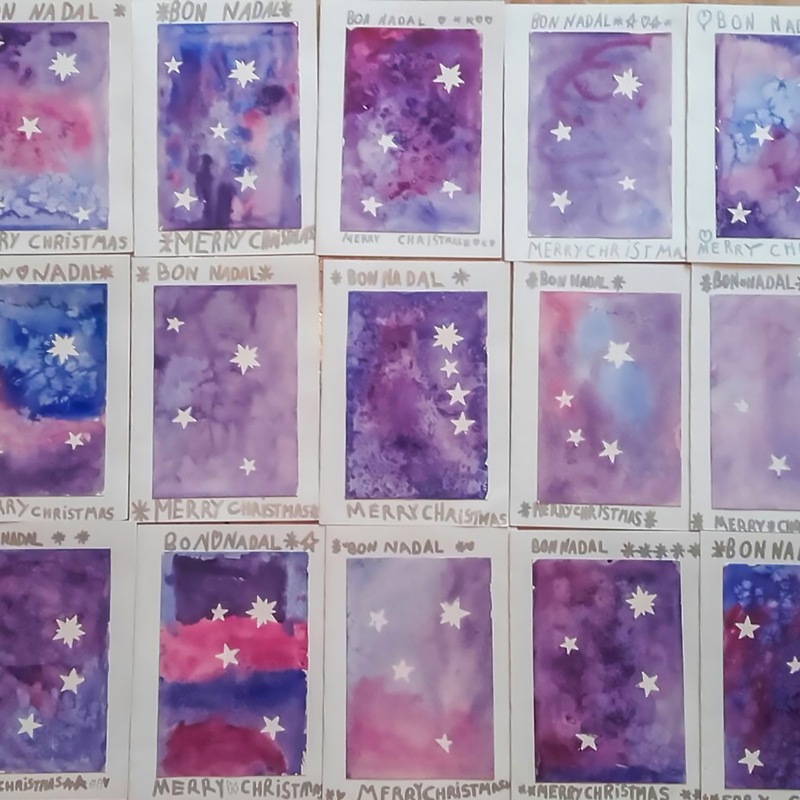 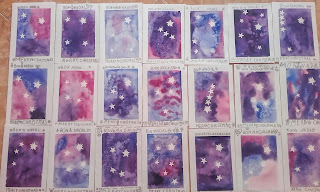 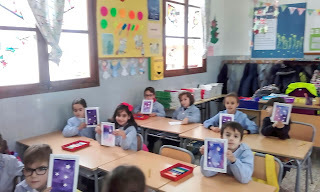 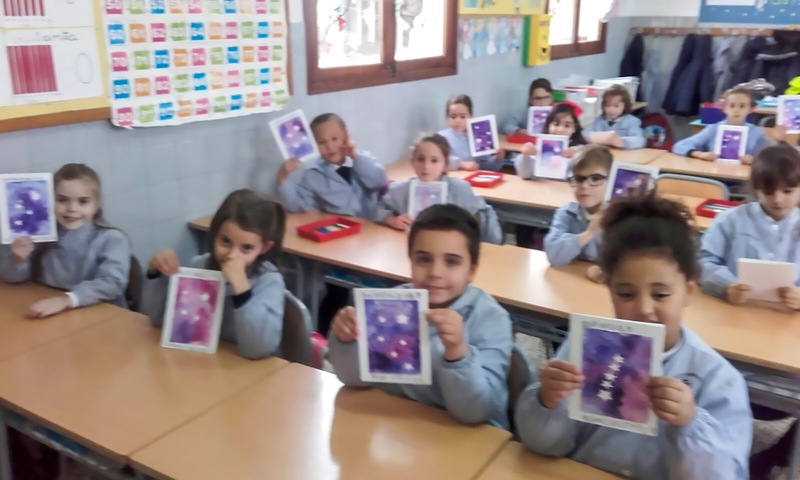 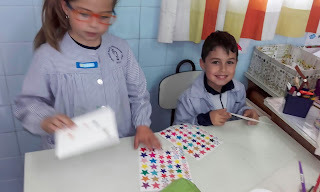 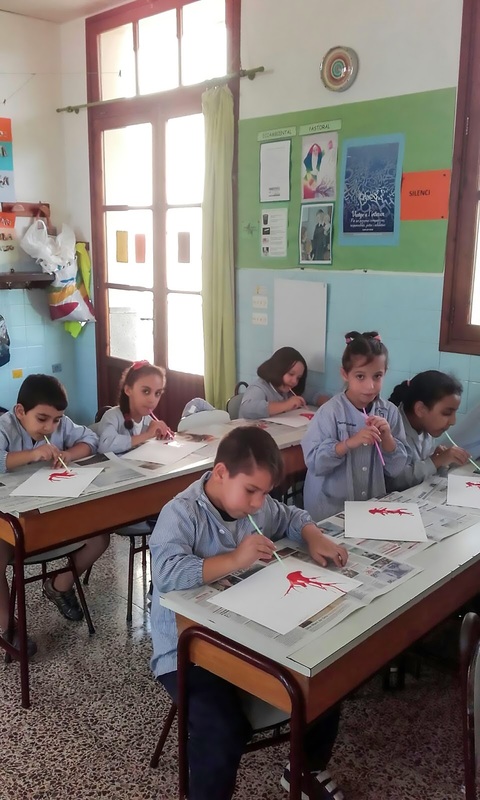 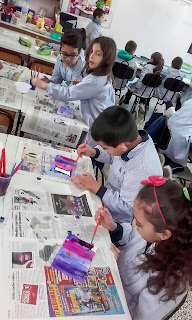 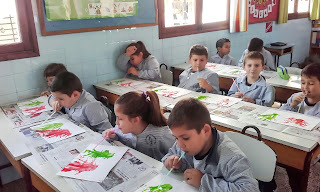 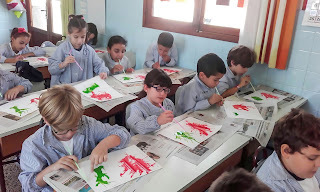 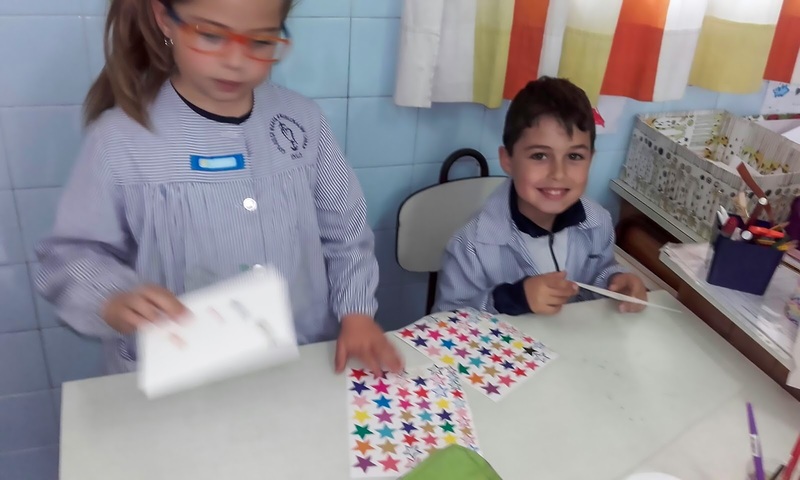 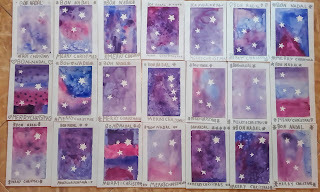 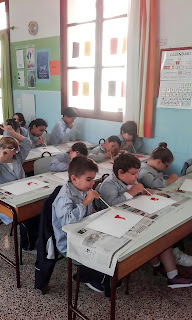 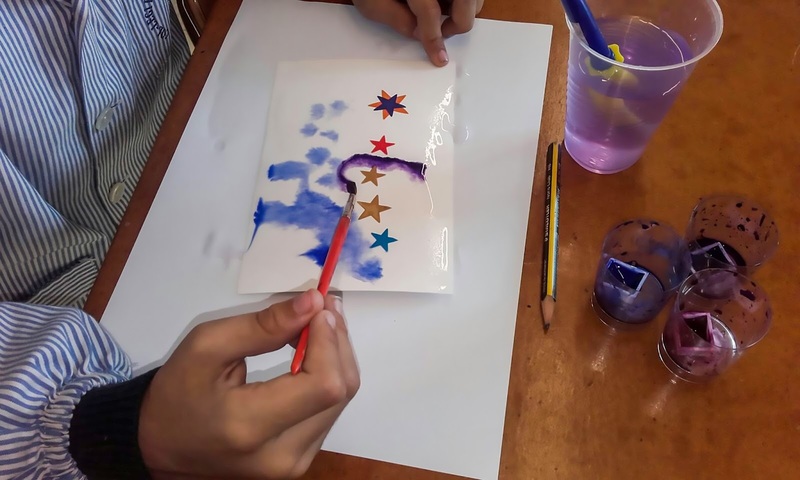 During the last weeks, we the first and second graders have been working on two different crafts. 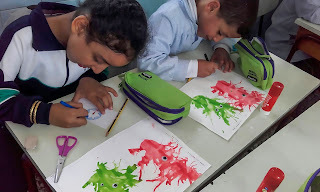 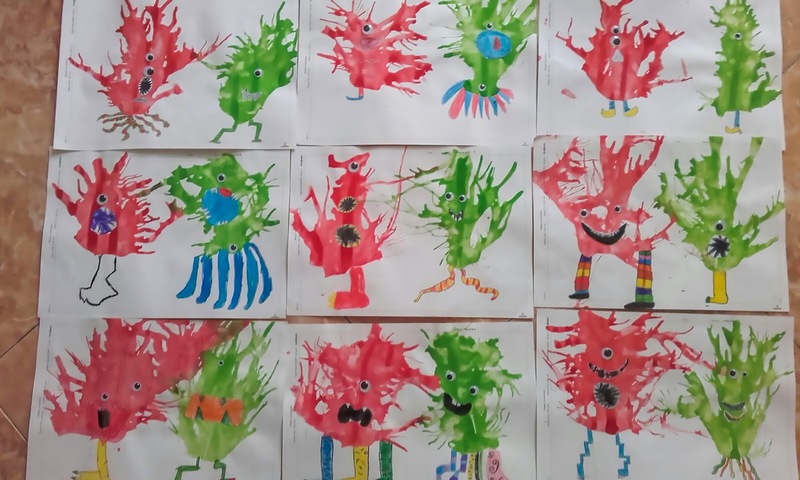 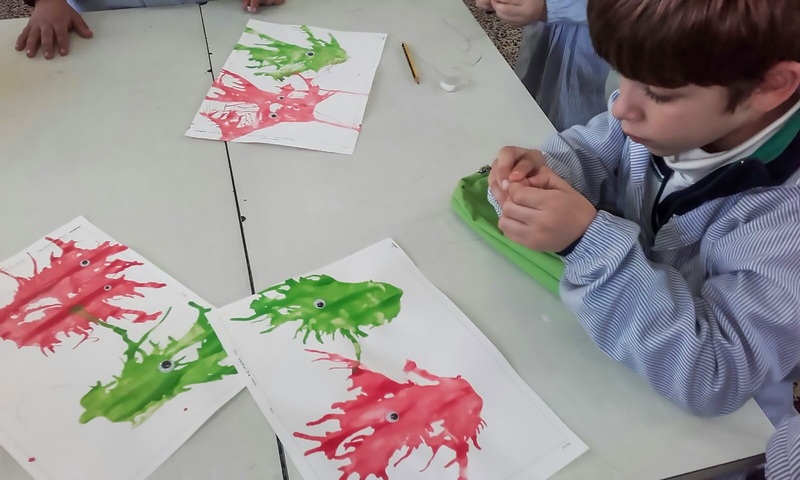 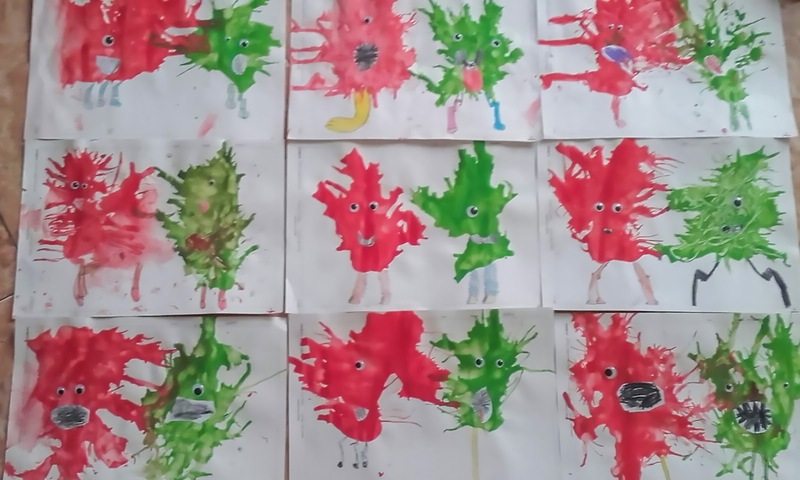 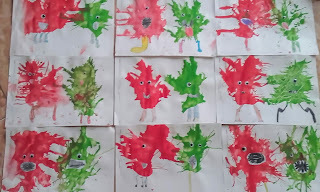 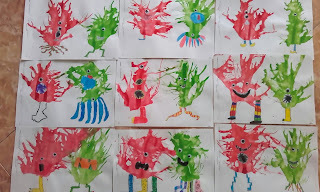 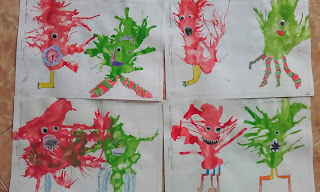 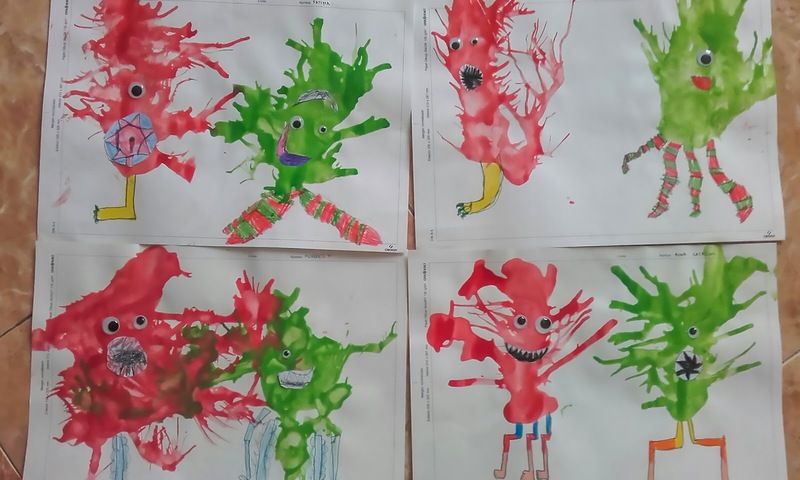 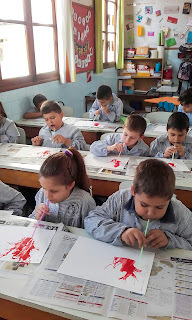 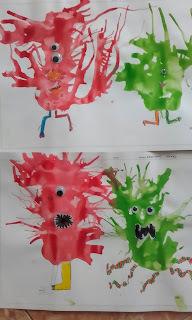 We have made a monster using tempera paint mixed up with water and blowing with a straw. 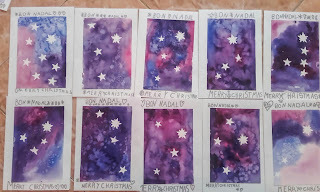 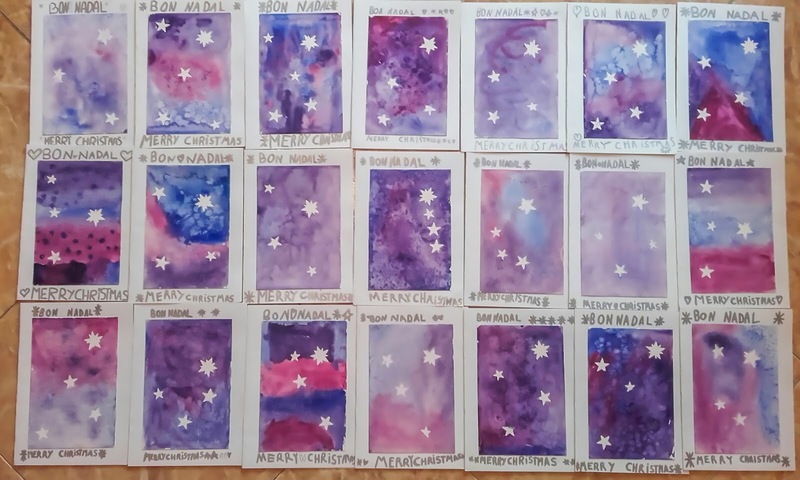 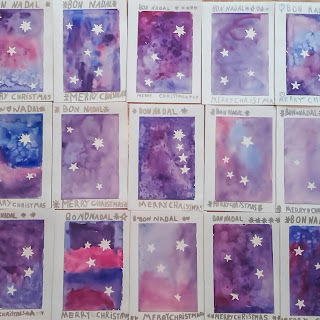 We have also made a Christmas card to wish a merry Christmas to our families. Durant les darreres setmanes, els alumnes de 1r i 2n hem fet dues manualitats. Hem fet un monstre amb pintura al temple mesclada amb aigua i bufant amb una canyeta. 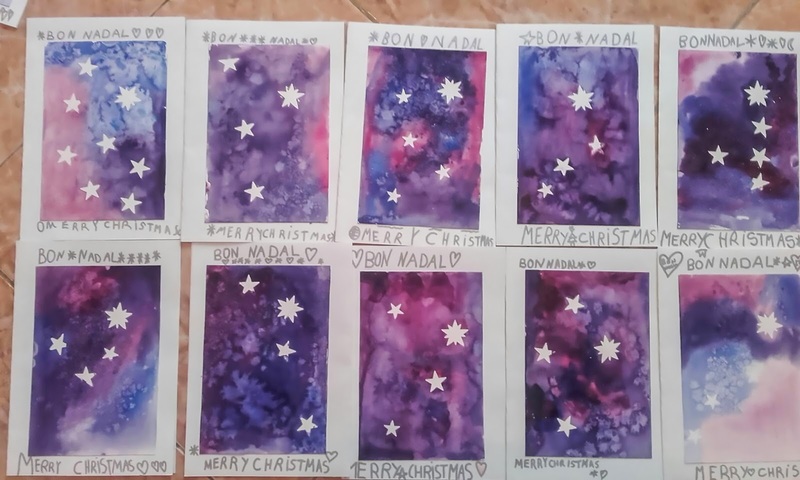 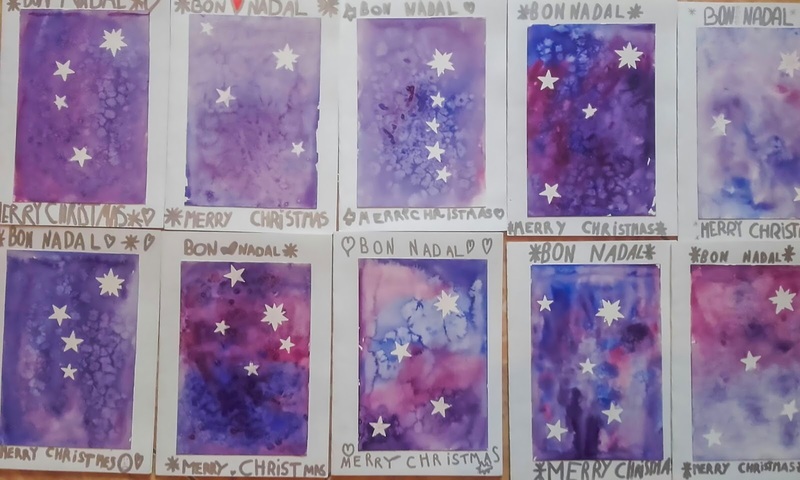 També hem fet una postal de Nadal per a desitjar un bon Nadal a les nostres famílies.